This is the question I ask when I allow my daily ritual boundaries to fall away!!!!!! YES, that was me this morning. I got excited to read the comments on my first 1-minute video that I let my guard drop and opened Facebook!!!!!! So often we forget how simple it is. ✅ Law of Attraction Bible by to turn all my desire statements into ALLOWING ones to bring me back into the flow. I intend to see, I expect to see, no matter who I am with, no matter where I am, no matter what i am doing, I intend to see what i waant to see. Are you really clear on your daily boundaries? Did You Choose Your Word For The Year? Initially I was going to choose love and abundance as one of my goals this year is to be fully on the path to being truly financially free. Denise Wakeman shared her 3 words what she called her roadmap inspired by Chris Brogan whose 3 word process I have used in the past. When I read Denise’s post I thought I’ll add in freedom to love and abundance. Then my soul sister and business partner, Yantra wrote a post on facebook about having a word for the year something, she usually doesn’t do. Des read Yantra’s words to me while I was cooking . Sacred was the word Yantra chose and as I was listening and thinking about my words the word Grace appeared and I was both surprised and at the same I experienced a feeling of peace in my heart. “thank you, I will journal on that. This is amazing when you just listen to your heart and allow what is just there to be and accept it. When I hear the word Grace I think of Brandon Bays who first told me that if you take one step towards Grace and Grace takes 1000 steps towards you. That means also getting out of my own way and allowing the magic of grace to be expressed through me. What word did you choose? BE YOU AND ……..PEOPLE WILL LOVE IT! I was walking on the beach with Des and talking about my new tagline BE YOU, GET WEALTHY and I said if people don’t like it that’s too bad! “Why are you calling in negativity? What if you said ‘AND People will love it!’? Would that attract the people who love it? A good teacher, is what I am. So here’s what I got from that exchange, stepping into our true self doesn’t have to be something to fear, something to fret about. Who knows, there will probably be plenty of people who love to see what we are doing, people who will be inspired to take similar action in their own lives. And in that way, when we step into our true self we’ll be thinking such positive thoughts we won’t have the bandwidth to think about the people who mightn’t like it. Just think about the good that we are doing, and how by what we are doing we are changing people’s lives. Inspiring them to become totally true to themselves. Be strong in taking your stand for who you are. Don’t give negativity any unnecessary attention. I am so good at helping other people shift their language, I sometimes forget about my own. I help others make the shift from fear to love, from negativity to positivity. And yet I slip up. We are all human, and as the saying goes, “the plumbers house always leaks”. Do you experience this disconnect, this lack of congruence, in your life, your family, your business? It’s not something to get stressed about, or beat ourselves up. But we can always improve. And the best way to improve is to focus more intently on the positive. Practice gratitude on a daily basis. And I’m thinking, what other ways can we turn that negativity impulse around? Maybe by making it a game? Well I am now off to do the Magic Footsteps exercise from the book The Magic. 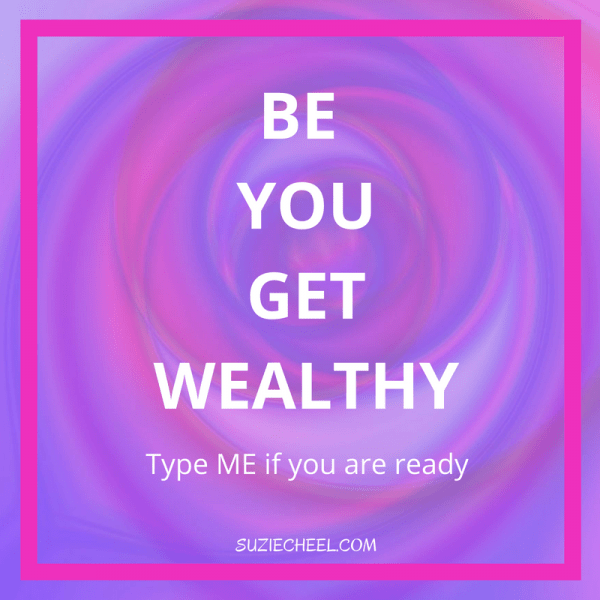 Are you ready to Be You and Get Wealthy in all areas of your life? What’s next for me to be aligned with ease and grace? You see I have set myself a big goal 90 day goal for my Online Attraction Marketing business and it is just a bit scarry! When you are bold you can step into your brilliance, where there is no shame. Follow and listen to your heart. When you follow the path of your heart the flame of passion will light up your life. Believe that the impossible will become possible when you hold HOPE that the vision you focus on each day is coming to you. With hope you awaken yourself to miracles, where the impossible becomes possible. Who’s ready to be bold and step into really being you? The You that is wealthy in all ways? Are you ready to put you first? HOW WILL WEALTH SHOW UP IN MY LIFE WITH EASE? When you let go of what no longer brings you joy, you create space and allow the new to flow. What will you let go of that will bring in the abundance, love and wealth you desire? ✅ What will set you free? ✅ BRING in all the wealth you desire? Yes an ABUNDANCE of wealth in all areas of my life. This will create order and save precious time – two things I was aware of needing this morning when I was wanting to update my facebook banner. ✅ Clear my desk. I know I am creative so I tend to think this all doesn’t matter – but I know it does!. When I ran my Textile Art business I had systems and I knew where my stock was, what I had to paint, who owed me money – and more. ACCEPTANCE is the belief card for the week. Accept and love yourself unconditionally: then you will shine your light. Then along comes TRUST as the action card. YES it does take trust to step into YOU and claim the wealth that you both desire and deserve. Each day take time to listen to those inner nudges, your heart whispers, and let them guide you on this new path to WEALTH in all areas of your life. What is your dream that will create ripples of change for you and the world? Yes, make those dreams real so you can create your abundant life. ✅ Create a dream board and put it on your computer, your phone and by your bed. Are you ready to be wealthy in all areas of your life? To be you and get wealthy? I HAD GIVEN UP ON MY DREAMS AND THEN I …………..
You had a big dream, one that is going to change your life and move you towards the freedom you desire and then BANG there’s a roadblock. 6 years ago I had a whole new launch ready for my Law of Attraction Training business. I had the website, the email lists, planned webinars, the funnel everything you need to get started with an online business, then it all went pear-shaped! I was surrounded by a group of doctors and nurses. The options, apart from full recovery, were not pretty, death, a life on dialysis or a kidney transplant. I wasn’t to find out till much later just how close to death I might have been that day. I had in fact had a total kidney failure. It took me a long time to recuperate physically and emotionally, it took away my confidence about my ability to run an online business. Looking back I realised that I lost confidence in my dream of success, that journey to freedom that I had made all the vision boards for. I had even been to Canada to train with the Law of Attraction How to Guy; Michael Losier. So, from the time I landed in hospital till late last year – 6 years of healing, I had done some searching for a way to have a viable business., with both my art and abundance. I had even spent thousand of dollars on coaches, mentors and courses, but nothing quite jelled. I learned a lot in the process and still I did not have a profitable thriving business. Then late last year I was to meet a woman I was to get to know very well. I went to the Daring and Disruptive Female Entrepreneurs breakfast here at Palm Beach. This was Lee’s first time to this group and we hit it off instantly so much in common. What was funny was, that both of us nearly didn’t go that morning. The universe had other plans. I next saw Lee agan when she came to have a Heart Whisper reading with me. We friended one another on Facebook. I would see her posts pop up occasionally and then one day one really got my attention. She wrote that she had drawn a line in the sand, was talking about big dreams both for herself and others, no longer playing small. Asking: Who wants to wake up every morning with peace in your heart? I sent her a message asking what she was doing. Lee sent told me that she had plugged into an affiliate marketing platform and shared a link to a webinar that outlined the business she had joined. The more I found out about the platform the more I realised that this could be the answer to my dreams and finally be moving onto the path to freedom. What I found was a heart centred online affiliate marketing business with a 90% automated marketing platform, people were earning 5 and 6 figure incomes that seriously caught my interest. Des and I looked closely at the business and decided it was great fit for what we had been searching for. Plus there was a supportive heart centred community. We had both for many years been looking for, the perfect online business, yes spent thousand of dollars in being coached and through trial and error. Now I wake each morning excited. I am excited because this is a business that rewards people in a matter of months, even weeks, compared to other businesses and platforms we have experimented with, where there is a much longer lead time before you were similarly rewarded, if ever. That it works on social media and attraction marketing. PS If you would like to know more contact me or click the image below. Will You Choose The Path That Your Heart Wants You To Walk? What are you ready for. …….? I decided it was time to ask for help. G: Yes today is the day to give yourself the gift of freedom that comes when you release all fear and spread your wings. give yourself the gift of freedom that comes when you release all fear and spread your wings. G:In your head maybe, but not in your heart! Look at how easily you get distracted. S:Wow that was a blow that landed right on my heart, Yes I could cry or beat myself up! G:I know you set your intention, now is the time to feel into that intention like you did on Sunday and let the emotions flow – really feel it and release all the fear! You talk about living the Dream lifestyle where you have Abundant Health, Financial Freedom and Inner Peace – the Freedom Lifestyle – and we are seeing you playing at this STILL! It is time to take focused action, let go of the overwhelm of having too much to do. You keep hiding your art and not putting it up for sale. This is blocking your Abundance Flow too. But you know that. You have been given a way forward that is perfect for you and Des. This fulfills the dream you have both had for maybe 10 years or more, of having a laptop lifestyle, where you can work from anywhere in the world. Yes you do live in paradise, you show this to the world most days. But this comes with limitations as you choose to settle for less and just get by. Yes everyone thinks you have it all, you don’t need money! Your positive outlook, inspirational posts, free readings etc are wonderful, They just don’t pay the bills. It’s Time for you to renew your vision and take daily action to make that your actual reality. You have manifested the Heart Centred Community you desired. So now is the time to be totally True To You and share the gift you have been given. There are so many people looking for a way to manifest their dream lifestyle too. How exciting is that? S: Yes I am excited and I know as the week goes on I still have the excitement of my vision from last weekend, for the next 3-4 months, but I allowed other stuff to stop me! This is a pattern. It’s time to step up and live my dream. I can do this. G; Yes now is the time to call on us each day, we will guide you. No more looking outside, go within. You must get back into flow. So what is the practical course of action to make this real? Earlier this year I took the time out to reflect on my business as it was not working, nor bringing me the joy, or money. Yes I love sharing my cards and going live. I needed more than that. I watched as my friend Lee, a business woman who shared her story of never having enough money, and how that had now changed for her. I watched as she made in one month almost $20K, with a 90% automated platform. I was ready to change my life. As an intuitive artist and healer, the story of the business Lee is now doing spoke to my heart. There are amazing health results people are having, and a strong emphasis on personal growth. Freedom to do what we want, when we want, to have the Dream Lifestyle where we can make a difference to our lives and those who choose to join us. Are You The Hunter Of Your Dreams? Are you ready to leave your comfort zone to discover your true self? I picked this book up last Friday at the Lifeline Book Fair and have used it everyday since- a wonderful first morning read to raise the vibes to abundance.. I love the story that Sarah Ban Breathnach shared the story of May Kingsley who in 1893 went on safari in Africa after the death of her parents to find herself and discover her purpose. To go on safari in Swahili is to journey. This is when you will discover yourself. I am trusting my intuition to guide me on my new journey. The one I am taking in my business. Yes I am leaving the city of my comfort. Stepping up to be the Intuitive Creative Businesswoman, putting back on the entrepreneurial hat I wore when I had my very successful textile art business. I will still be powered by love. This comes by opening my heart to love yes listening to my intuition. I can be on the freedom train, empowering myself and empowering at least one person each day to reach in and discover their true purpose and be on their own freedom train. The one full of love, joy and gratitude. Of physical health, financial health and inner peace. I’m excited to be writing this and writing my future life. What will my heart whisper to me today, I wonder? Excited at what will manifest as I let go of all that has been stopping me over these past few years and now allows me to move forward with total FOCUS. I am creating the life of FREEDOM both within and without. I love this reading today. It has my heart smiling and bursting with joy. I am you going on a safari, a new journey. A journey of love, joy, friendship and it is so exciting to be moving closer to the physical health, financial health and inner peace. This is empowering and does create the ripples of change. What will be your safari? Maybe you see yourself in this picture? If so reach out and email me or leave a comment below. Do you really believe in you? Meditate each day and listen for the whispers of your heart. the magnificent you– a have a song somewhere called the Magnificent You by Marcia Breitenbach, here is the first verse. Where you have the choice to be, do and have all that your heart desires. Then I believe we are Being the change we wish to see in the world. Gandhi’s words that have resonated for me for so many years. I sometimes say this to myself Be the change you wish to be! This book was written when I was making a career change back in in 1988. That took me from safe secure teaching as a college lecturer, to becoming an entrepreneur and running a highly successful 5 figure business from my textile art. Fascinating that in 2018, 30 years on I am making another major business change in pursuit of freedom. Are you ready to create freedom in your life, now? I share one most days on my facebook page, my group and Instagram. DO YOU LOVE AND EMBRACE CHANGE WITH JOY? Yesterday was a game changing day for me and when I woke up this morning I had no regrets and was still excited. What do I love about change? I am excited that I have had a draw a line in the sand moment and embraced change with joy. With the full moon eclipse today 31st Jan 11.24pm AEST this is a perfect time. “Start now by noticing ‘tolerations’ that you would like to let go. Venus is involved so think love, art and $$$. I feel as I release what no longer serves me or brings me joy, letting go of all fear., the what if this or maybe that! The new door that has opened for me will be the gift that give me the Financial Freedom I vision each day. I have been here before and know that it is a much more secure place to be in. I am loving what I am doing. Can’t wait to share this with you. Are you ready to create positive change? Just comment below or email me if you are ready to create change in your life . Open your heart to LOVE: DARE to DREAM again! Can You Expect Miracles When Your Are Blocking Your Inner Knowing? How will I break my blocks to selling on a daily basis? Your heart opens and whispers: ”Feel the love and expect miracles”. So each day step onto your path of love, that means doing the daily inner work that empowers you and keeps you aligned to your purpose. The daily journaling and visualize all the happy, loving heart whisperers around the world, They are fully loving themselves and seeing their lives changing each day through the power of love that comes from working with you, your products and services. Find new services and products to offer them and build on what you have. The new Heart Whisper tee shirts and jewellery that is on the drawing board. You must break my pattern of free! Free is great, now is the time to receive in new ways. Make it easy for people to work with you and buy from you. Start today! Wow that was a download that I nearly didn’t post, but i thought in sharing that, as well as opening myself to expect miracles it might help one of you out there that struggles in the are of selling your message. What area of you life are you hiding your God given magic away from ? Branding Breakthrough: Yes, Do Be True, Brand You! In a process that’s been going since March finally my brand came together. If you have been reading and following my blog this year you will have noticed there have been just a few different looks as I explored who I am and who I serve. My mother did used to say to me in my teens and 20s: Anything to be different! That in this day when access the web by mobile, what you have on the screen MUST look good, re readable and be responsive. I realised graphics didn’t work on mobile. This brand board was when my focus was going to be more on art. I had gone from Heart Whisperer to ART to Law of Attraction/Abundance . 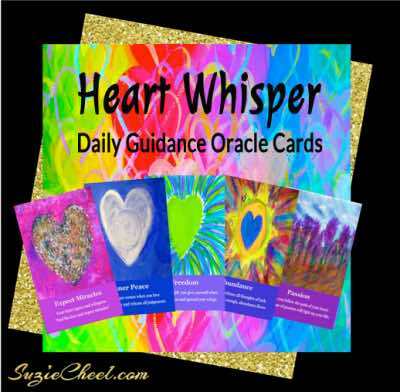 I even changed The Heart Whisper Circle to the Abundance Attractors! There have been a series of banners too. In July guided by the whispers of my Heart, I made the switch back to the Heart Whisper Circle. Heart Whisperers who had left the group because of the previous change, returned. I did leave the abundance focus on my website. to teach people to learn to listen to the Whispers of their Heart and inspire them to create ripples of change that then brings more love to themselves, their lives and the world. Two weeks ago I was doing a live reading in the Heart Whisper Circle, for which only one Heart Whisperer was online, my BTBY ( that’s Be True, Brand You) bestie Jacqui be ( some of you might have met her in my Free Become More Abundant Video series) Although her reading was brilliant, I was feeling a bit flat, so I reached out to Jacqui and we skyped. We tossed around a few ideas that I took to the beach with my beach coach and husband Des. Walking on the beach I told Des how I was being drawn back to the tagline Abundance, Creativity and Self-love for Wild Souls that Leonie Dawson came up with on a coaching call in The Shining Life and Business Academy. I had used it a year or so ago, but something was missing. We talked it over, played with words and then………. Des came up with Wild Heart Whisperers: A playground for Abundance and Creativity. I skipped along the beach- this felt great. I knew I had made a shift. The new wild Suzie Cheel Heart Whisperer look was born. First we got out the punk style photo that had been an afterthought when we did the photoshoot. Des saw this graffiti wall and thought Kimra Luna from Be True Brand You, would love this background of punk culture. We really took it just for fun. The black background emerged came about through serendipity. It was a gift from the universe. When I was adding a shape into the new banner in photoshop, where I thought the background was white 🙂 When I added the rainbow heart to the black background it all made sense. It was clean and stylish. My new look had arrived. I feel I finally have come home. I have found a way to intertwine my Heart Whispers, my art, my readings, a new Heart Whisper Portrait service, with my Abundance/Law of attraction coaching. Yes there has been one more change as the Heart Whisper Circle became Heart Whisperers and my friend Anne Aleckson, who has been watching all my changes this year said when she saw that change she said, she approved. If like me, your branding journey includes a few byways, don’t give up. Trust your heart to guide you. Maybe a Heart Whisper Reading will help you with your Branding breakthrough? i would love to help you. Is the Real You Shining to the World? Then I started talking to some of my ideal clients and asked what new freebie products they would like me to make. Something to do with the Law of Attraction, several told me (one said they had been trying to tell me for a while) and I then others had abundance blocks. I have got attached to being the Heart Whisperer I forgot about where I had started many years ago. Then I had used the Law of Attraction to heal myself. I have heard that many times this week, in meditation and in my journaling. Do you have a labels you need to ditch? Hold onto your hats , there is more change! I know I thought after last week I had the clarity to move forward fearlessly on my rebranding journey. I knew that there was a niggling doubt surfacing, Des could tell my heart wasn’t totally singing. Then I started talking with the wonderful people who volunteered to be interviewed. Your responses confirmed that. My biggest dream is to complete my book,Lucky To Be Alive, be speaking to thousands, make that millions online and around the world, with my Heart Whisper Paintings as my backdrop. Sharing my story of saving my life through really learning to love myself and showing others how to do the same through listening to the whispers of their heart and living their heart’s desire This will create ripples of change and bring more love and more peace to the world. I immediately sent these words to my accountability partner saying: This raises a few mission questions? I felt a shift in my heart and mind. Then a sense of calm. My heart knew. Patience is not my greatest virtue, but I have been working on it and it has paid off. I was excited, my heart was smiling. This has been a long journey for me. These days I rarely buy a new domain on a whim, this time I was excited enough to want to check and see if it was available. There is was, creatingchangefromtheheart.com was there. Like the universe was saying YES! I had drawn the Yes card on that very morning and then again 2 days later- just to confirm! That is so true. This is definitely a Marathon not a Sprint. I don’t know about you but I prefer the sprint! Today I can see that it is in trying to sprint that often I have skipped over and even ignored my own wisdom and guidance. I had the opportunity to step up on Thursday at a local Women Entreprenuers group I attend monthly, This is for Daring and Disruptive Women and a group where I feel right at home. Susanne Ridolfi who runs this group asked : What spirited women would be open to sharing their ‘strategies’ and how they have had to adapt their Journey so far this year, to meet up with their Intentions and Goals for 2016. I volunteered the timing was perfect. I met with Susanne before the meeting and shared my story and my current adventure that had my January intentions turned upside down. This is me speaking on Thursday morning to 30 Daring and disruptive women and I felt on fire. My confidence was high, I was inspiring others and the feedback I got truly had my heart singing. I knew I was on purpose and sharing my passion and inspiring others. What has stopped me getting to this point in the past? Are you being all things to all people? Holding onto the what ifs! Looking outside myself for the solution. Your encouragement and support through the many highways and by of this journey has helped me keep going thank you. Have you realised your true calling? What’s Your Big Question About Following Your Heart’s Desire?